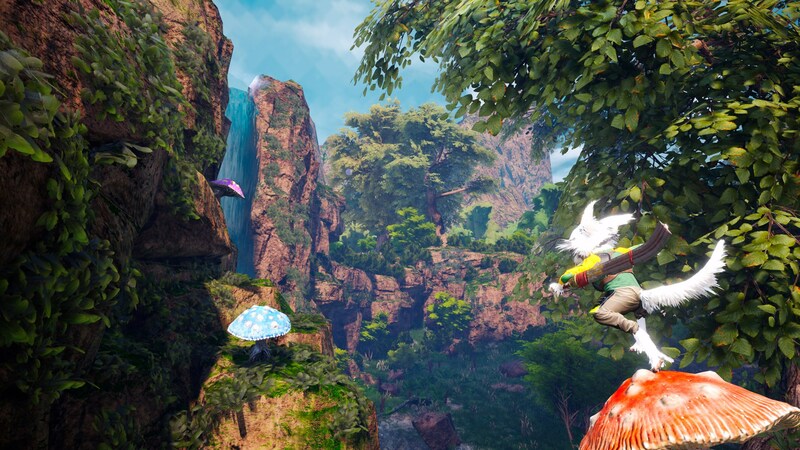 Biomutant was revealed very close to PAX West. I kind of skimmed over the initial announcement out of Gamescom, so I went into the demo session knowing relatively little about the game other than that it had kung fu and starred some kind of red panda-like creature. And, coming out of having played the game myself, I still wouldn’t really say I know that much about it. 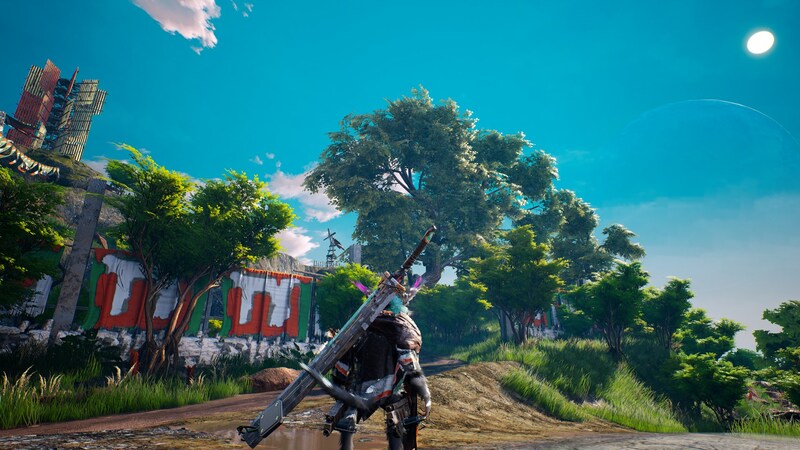 Biomutant is set in a post-apocalyptic world, and you play as a small, unnamed creature surviving in a plague-ridden, dying world. You have free rein to customize your character, choosing gender, size and stats, and fur colors and patterns. The game follows a moral choice system, with branching paths and different endings depending on the choices you make. Ultimately your goal is to reunite the world’s tribes and revive the poisoned Tree of Life, but how you approach that goal is up to you. 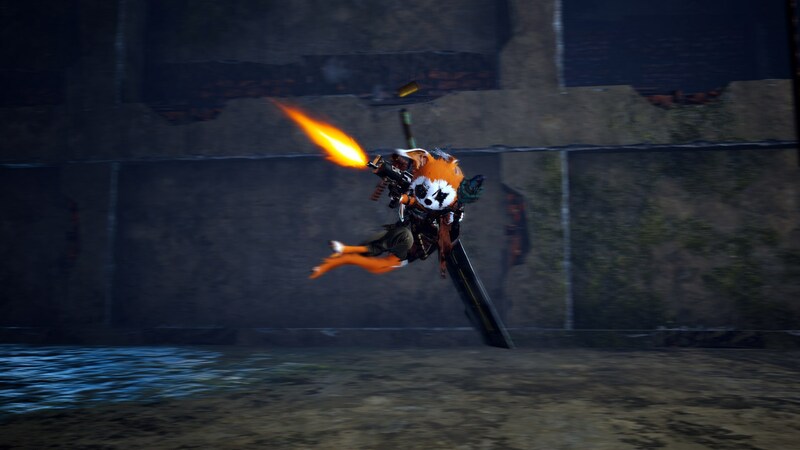 The place where Biomutant shines most is its combat. The third-person combat is fast-paced and moves fluidly, and the player has access to both melee and ranged weapons. It’s designed to give the player as much freedom of movement as possible, with a mix of melee attacks, ranged attacks, and use of special mutation powers acquired throughout the game. Combat has a great flow to it, while still requiring careful positioning, dodging and timing to avoid taking damage from enemies. Attacks and dodging are flashy, with the character sometimes flipping over smaller enemies or sliding between the legs of larger ones. The combat and movement is supposedly based on Wushu martial arts, and new techniques can be learned from masters as you advance through the game. Weapons can be fully customized, using random parts you pick up in the world. The customization system in the demo was present in a limited form, where the only options available was randomizing parts to see what comes out. You can customize both melee and ranged weapons, and the sheer variety is amazing. Ultimately they fall into size categories to determine speed and damage, but just seeing what absurd results come out especially from randomizing parts was amusing. The mutation powers will also be able to be advanced as you progress, and according to the developer they’re aiming to have 15-20 different powers to choose from, with four equipped at any given time. The entire affair has a very distinctive style and tone to it. Combat features comic-book-style onomatopoeia for attacks, going perfectly with the fast pace and flashy martial arts. Your journey is accompanied by a narrator who speaks your character’s thoughts for you, and hearing his reactions to your choices is fun. Biomutant is shaping up to be a very unique and entertaining game. I’ll be keeping an eye on this one, and will likely be taking a closer look at it when it releases sometime next year on Steam, PS4 and Xbox One.